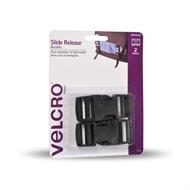 These VELCRO® Brand buckles are dual adjustable VELCRO® Brand with side release buckles for light weight items, holding up to 5kg. Safety & Security How to choose a smoke alarm Smoke alarms are proven to save lives and they are really easy to install. At Bunnings, we’ll help you choose the right smoke alarm to suit your home. Safety & Security Eight easy ways to maintain your beach house Find out how to keep your beach house in good condition even when you’re not staying there. Safety & Security Home security tips Whether you’re going away on a holiday or just around the corner, it’s good to know that your home is secure. Here are a few tips that will help. Safety & Security How to childproof your home Here are some very simple and inexpensive things you can do to childproof your home and keep your kids safe. Safety & Security How to install a security door A sturdy, security door not only makes your home safer but will give you peace of mind as well. Find out how with Bunnings. Safety & Security How to install a smoke alarm Help keep your home safe from fire by installing smoke alarms. Walls How to hang a picture frame from a track Check out this simple way to hang your pictures. We’ll show you how to attach a track to the wall and two ways to hang your pictures.